A study has identified driving as a risk factor for poor health behaviors and outcomes such as smoking, obesity and insufficient sleep. AsianScientist (Jun 18, 2014) – As little as two hours a day behind the wheel is a potential risk factor for a range of poor health behaviours and outcomes, a University of Sydney study has shown. Published in PLOS One, the study of nearly 40,000 Australians aged 47-75 years found that people who drive for two hours or more per day are more likely to smoke, to be obese, and to be less physically active. “The research also reveals that people who drive for two hours or more daily are more likely to be stressed, sleep-deprived, have poorer self-rated health and quality of life,” said lead author Dr. Melody Ding. 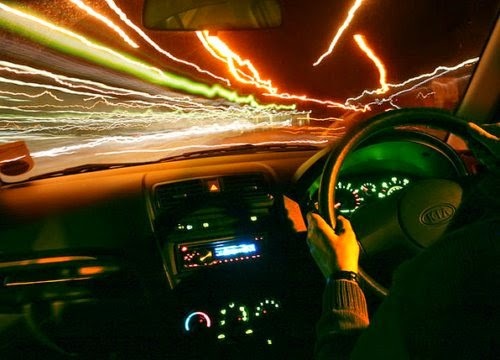 “We found a dose-response relationship between driving time and a clustering of health risk behaviours, particularly smoking, physical inactivity, and insufficient sleep. The more time people spent driving, the greater their odds of having poor health and risk factors for poor health”. People who drive more than two hours a day had 78 percent elevated risk of being obese, and 57 percent elevated risk of insufficient physical activity. The observed link between driving time and health risks were independent of socioeconomic factors such as age, gender and education levels. “The study’s findings are relevant to middle aged and older people who drive on a daily basis, for any reason, not just professional drivers,” Dr. Ding said. This cross-sectional study is amongst the first to examine the associations of driving time with a range of health behaviors and outcomes. “Findings from the current study are consistent with some previous research that linked driving to cardio-metabolic health,” said Dr. Ding. “However, further research is needed to confirm causality and to understand the mechanisms for the observed associations. “This study highlights driving as a potential lifestyle risk factor for public health, and future lifestyle interventions and transportation planning initiatives may consider reducing driving time as a strategy for promoting health and well-being in the community”. The article can be found at: Ding et al. (2014) Driving: A Road to Unhealthy Lifestyles and Poor Health Outcomes. Source: University of Sydney; Photo: Alan Cleaver/Flickr/CC.